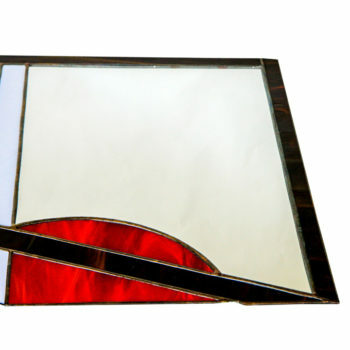 Tiffany technique stained glass products are individual projects and they are performed in the internet shop just for the idea or possible solution. For your glazing is necesary to calculate project individualy, so please call me or send me an Email. 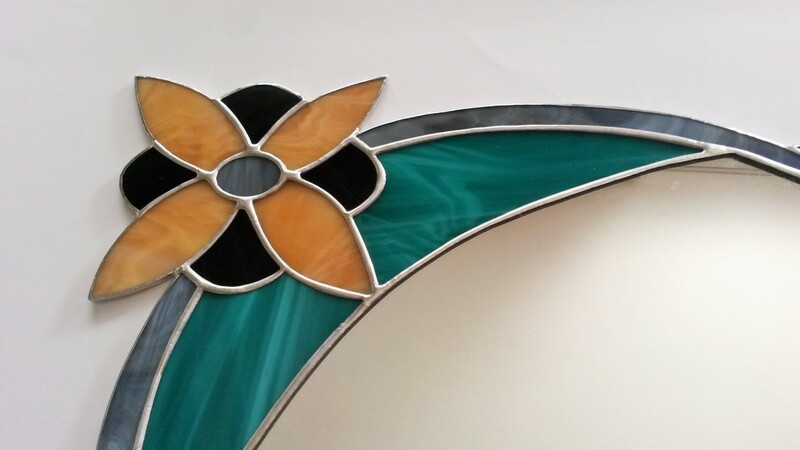 Stained glass mirror, made in Tiffany technique find it’s place in bathroom of one nice older lady. 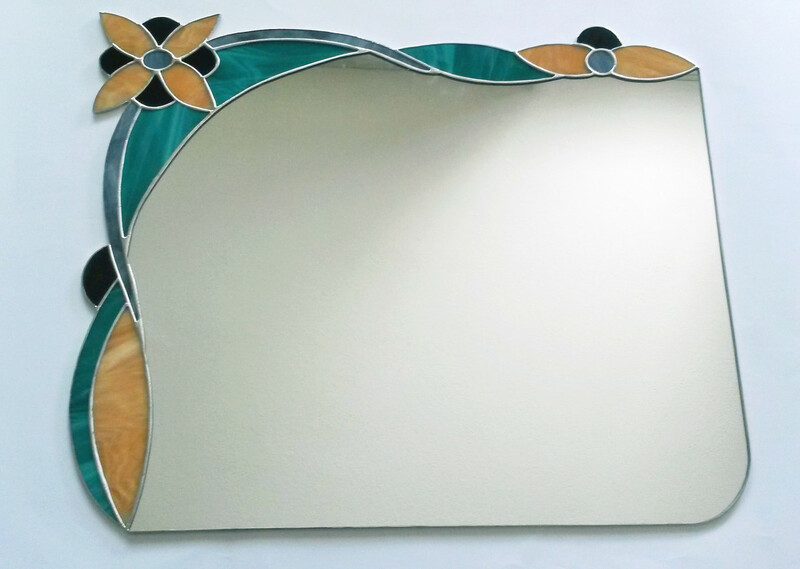 She asked for a mirror which would match the ceramics there. If you would like to have something simmilar do not hesitate to contact me on Email or phone.